I really like this product. My hands are weak due to arthritis. This is easy to use. Very handy. Excellent product. Works as promised! 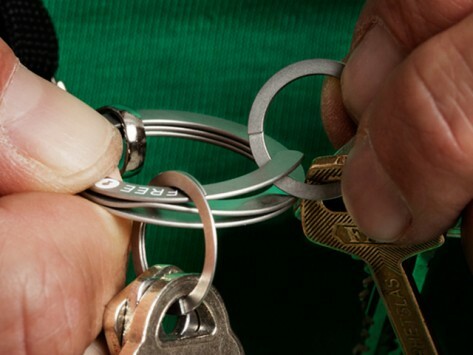 Made from high-grade stainless steel, FREEKey’s press-to-open key rings are manufactured in the U.S. and made available through Exotac, an outdoor gear business in Georgia started by engineer Rob Falkenhayn. Once you try FREEKey, you won’t miss wrestling with other split-ring key chains.